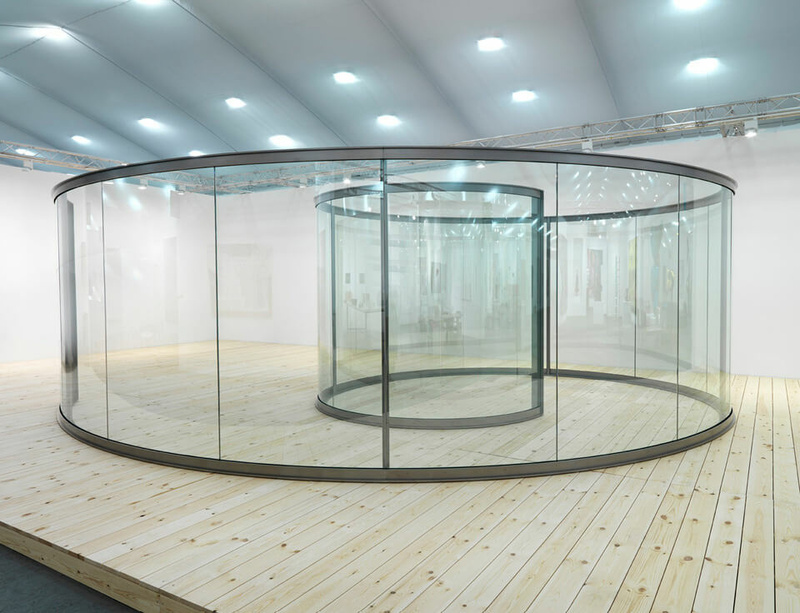 At Frieze London, 17-20 October, Dan Graham is presenting a newly commissioned freestanding pavilion, replacing the internal booth structure with a spiral of steel and glass. Over the last 30 years, Graham’s pavilions have acted as architectural interventions, minimalist meeting points, as well as proposing new facades for museums or domestic homes. Simultaneously reflective and transparent, they recall his earlier video installations of the 1970s that turned the camera back on the viewers, while also referencing office blocks and skyscrapers, classical auditoria, modern expo pavilions and Arcadian follies. Graham not only represents the Lisson Gallery’s longstanding commitment to creating challenging contemporary art, but the inclusion of his pavilion at Frieze highlights the gallery’s involvement with many large-scale outdoor public commissions. Poised between sculpture and architecture, Graham has realized numerous glass and mirrored pavilions all over the world since the 1980s as prisms through which we view others and ourselves.